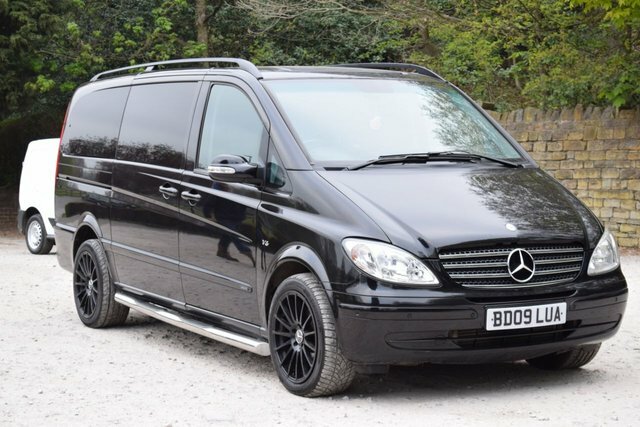 TAKEN IN PART EXCHANGE , IDEAL FOR A LUXURY FAMILY MPV WITH LARGE BOOT SPACE , FULL LEATHER , PRIVACY GLASS , SIDE STEPS , FRONT & REAR PARKING SENSORS , 18" BLACK AMG STYLE ALLOYS , COMES WITH 6 MONTHS WARRANTY WITH THE OPTION TO EXTEND , 12 MONTHS MOT , 12 MONTHS RAC BREAKDOWN COVER , OIL & FILTER CHANGE WITH LIGHTS AND LEVELS CHECKED , PRE DELIVERY INSPECTION , HPI REPORT , RAC APPROVED DEALER , VERY COMPETITIVE FINANCE RATES , EST OVER 20 YEARS , CAR GURUS TOP RATED DEALER OF 2018 Our MONEY BACK GUARANTEE lets you purchase any vehicle with complete confidence. A £200 deposit ensures the vehicle is yours. If upon collection or delivery the vehicle is not as described you can have a full refund. NATIONWIDE DELIVERY AVAILABLE.